This savory cheese delivers the taste of autumn! 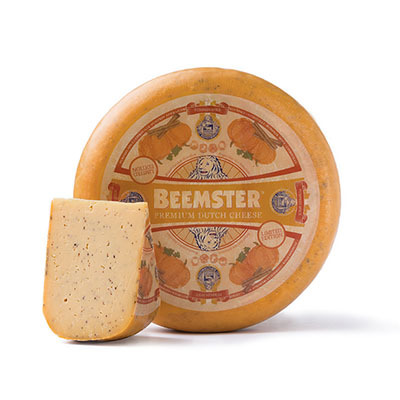 An irresistible blend of pumpkin spices, including cinnamon, nutmeg, cardamom, and ginger, are blended right into our mild, young Gouda to infuse it with aromatic, fragrant fall flavor. Not a sweet cheese, this gouda is savory, rich and aromatic with nutmeg, cinnamon & clove blended right into the cheese! Best served at room temperature or warm.